America came late into commercial doll making. The great European porcelain factories already dominated the world market and Papier mache’ doll making had a long head start in Europe also. 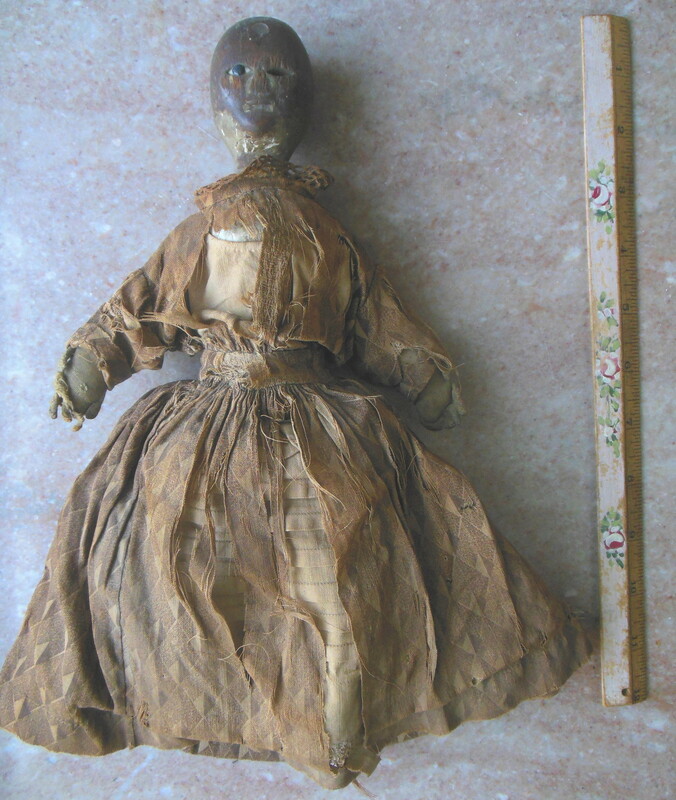 The first commercial attempts at doll making in the United States included fabric, gutta percha, rawhide and rubber. Closely following were the papier mache doll heads of Philadelphia including the work of German immigrant Ludwig Greiner and his large family. 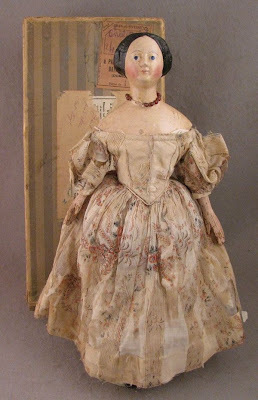 Greiner may have been making his great American dolls as early as the 1840’s as Izannah Walker is thought to have done. 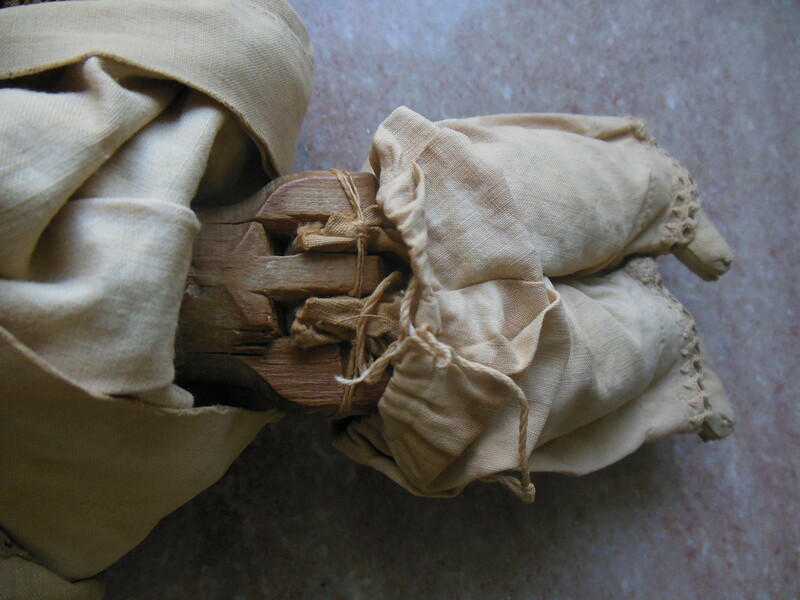 Fine jointed wooden dolls were factory made in Vermont contrasting with the early hand carved European woodens. 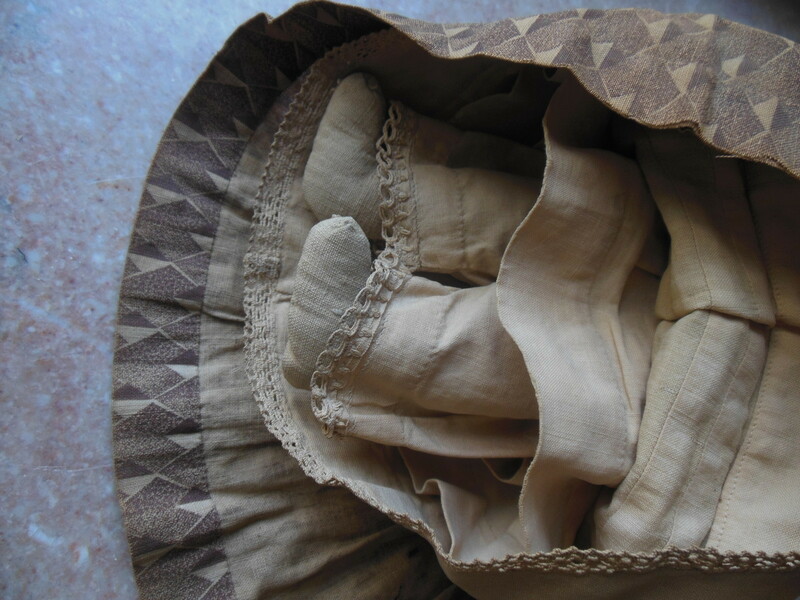 With a life long interest in both Textiles and Antique Dolls, It is natural that my favorite dolls are the dolls that are textiles themselves. 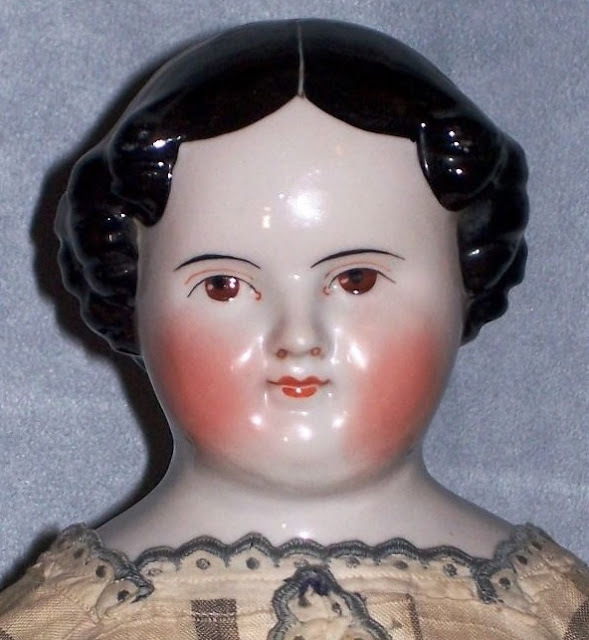 Many simple flat faced dolls made one at a time are completely charming, but the dolls that have interested me most right from the start have been those with faces molded of stiffened fabric. 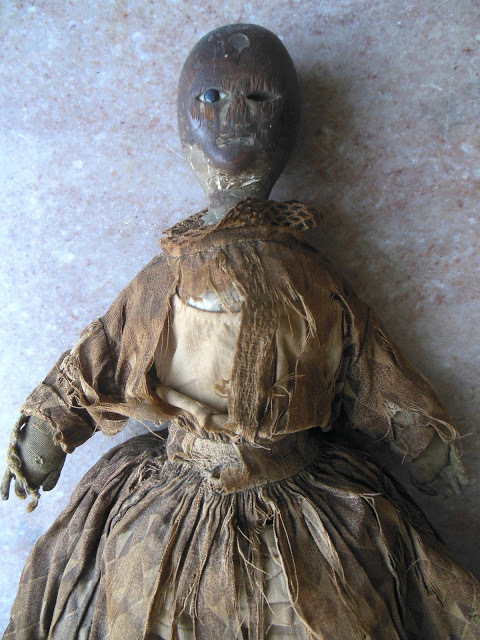 I have collected, bought, sold, repaired, and above all studied and appreciated antique dolls for more than half a century. Only now do I have a small group of the early ones with molded cloth heads. They are sought after by an avid though small group of collectors and not readily found or afforded by me. 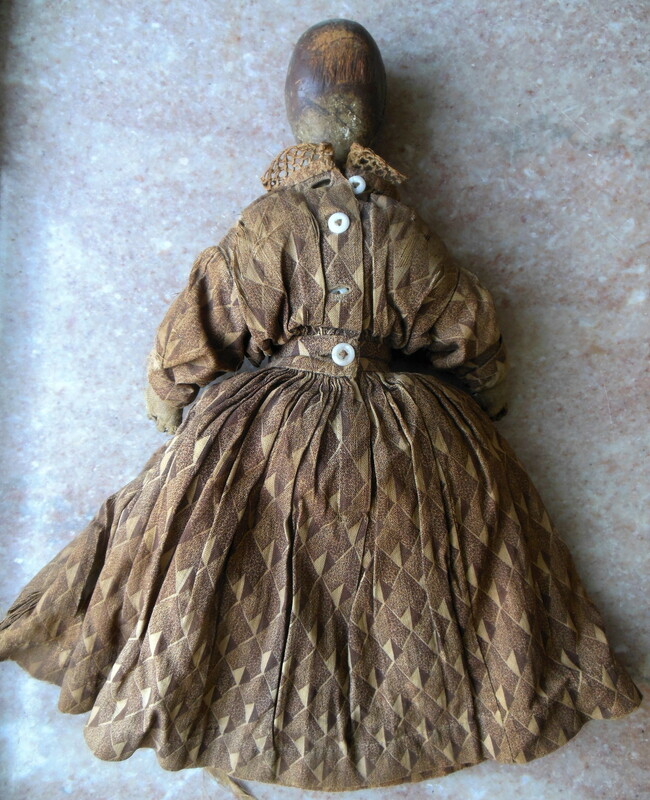 The earliest American ones I know of are the so called linen head dolls, by a still unknown maker, and the dolls of Izannah Walker. My little group now numbers three linen head dolls, and two Walker dolls. 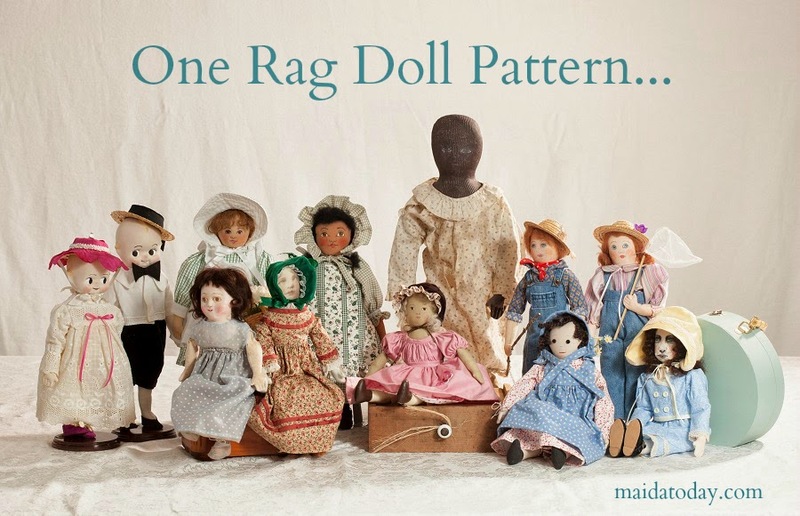 Many many other doll makers overlapped and or followed these: Weigand, Hawkins, Chase and more. My own collecting interest cuts off at 1900. 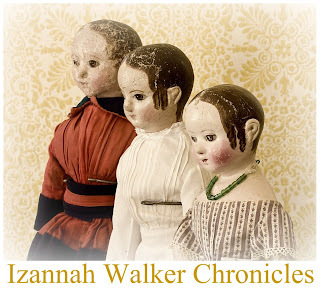 The doll making process of Izannah Walker has been well researched and documented. She left us a detailed patent. The Walker dolls were pressed in a die. She used more than one layer and stiffened the masks with paste. The linen heads I believe were made over imported German China doll heads. China heads were the obvious models for Hawkins, Darrow, Weigand and a few of the I R Comb rubber dolls. So using the abundant china heads as a basis for molding was common practice. 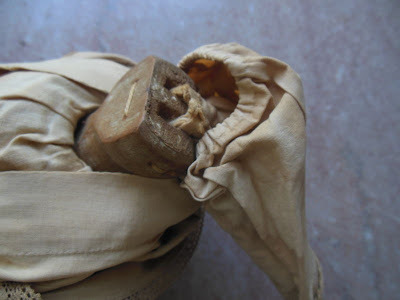 I think the Linen was wet with a stiffening agent and shaped over china doll heads of the 1850 to 1860 time frame. A front and back of the head were made in this way and then joined at the sides. A wire was used at the base of the shoulder heads to help hold their shape. The resulting heads were painted with oil paints. I have seen only two kinds of bodies so far. This tells me that whole dolls were sold not heads to be attached to homemade bodies. The three examples that I have are a scant 20 inches, 22 inches and 24 inches tall. So in height they are similar to their sturdier cousins the Walker dolls. The years of production would have been short, as by 1860 these were supplanted by more durable dolls like the Greiner paper mache's. The linen heads would always have had a hard time competing with the large numbers of imported dolls. So given their fragility, not many have survived to be enjoyed by collectors today. Several different China head styles were used, including the Long curl doll called Lydia and several so called covered wagon hair styles. I have seen one of them dressed as a man doll. He was sold on Ebay in 2012 in spite of a completely crushed head someone had tried to sew back together. They are of course very fragile and easily dented or damaged. 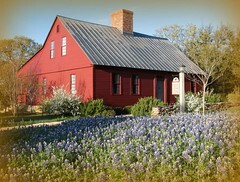 The linen head dolls seem to have originated in New England as that is where most are found. 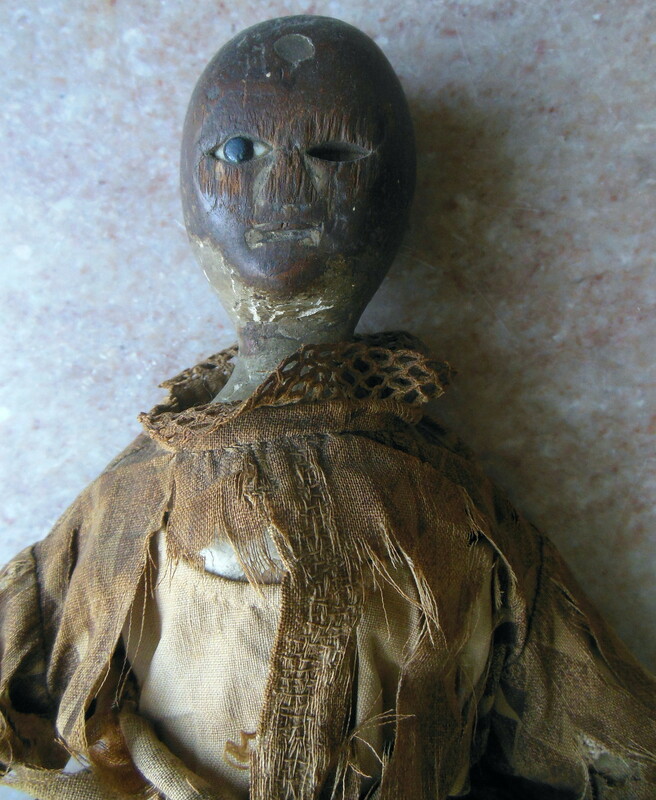 A few of the dolls had the black glass eyes of the period. The ones with the painted eyes are worth a bit of study. These eyes are very black, and the tiny lashes slant inward toward the nose not outward as on humans and most other dolls. 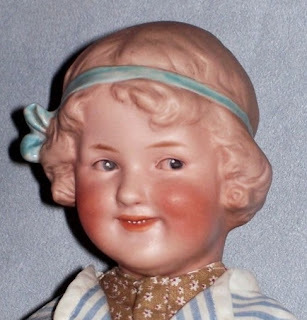 I have seen these inward slanting eyelashes on a gutta percha doll from the Maureen Popp collection and I feel these dolls were painted by the same hand. That rare gutta percha doll can be seen in the auction catalog of Maureen Popp’s dolls. I have held it in my hand and examined it. Some early Rubber dolls also have weird looking black eyes a bit similar. 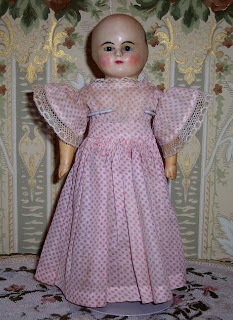 I keep a scrapbook of these dolls and catalog pictures of all that I come across, and so far have seen about 26 of them. In contrast there are at least 250 publicly known Izannah Walker dolls. More of each type are sure to be sleeping quietly out of sight waiting to be found again, or kept quietly in private collections. Obviously this one has had a life well lived! She looks to me like a great make do restoration from early 19th century on an 18th century doll? See how she is dressed, that is not period QA. 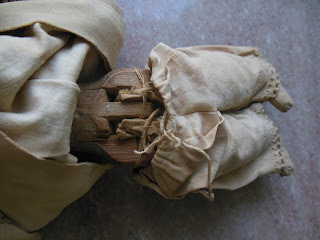 Then looking closer, the wooden head and torso piece with the gesso and paint all worn off are her early part, and the cloth arms and legs are added to replace lost jointed wooden arms and legs. I think she is dear! What is your read on her?